Viewers lose Freeview channels after retune hits problems | What Hi-Fi? While the service was upgraded to give more people access to Channel Five, up to 460,000 households are expected to lose access to ITV3 and ITV4. To make matters worse, around 20,000 set-top boxes from makers such as Bush and Daewoo could stop working after the re-tune. Those affected are: the Daewoo DS608P and SV900, Labgear DTT100, Triax DVB2000T and Bush IDVCR01. A Freeview spokeperson says viewers with problems should try again. In a statement, it says: "The majority of people find retuning straightforward, but if viewers are experiencing problems, we would suggest trying again." If you were thinking about calling Freeview for a bit of advice, you might want to think again. Freeview is reporting more than 200 calls a minute to its Helpline (08701 111 270), with many callers being told no more calls were being accepted due to “high call volumes”. Not helping the situation, Freeview has also admitted that its website is crashing under the pressure of people logging on for advice, and is only working “intermittently”. 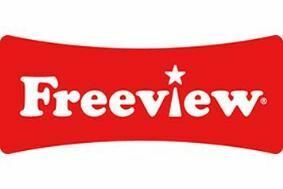 Ilse Howling, managing director of Freeview, defends the retune programme: "These are significant and necessary changes which will immediately bring Freeview viewers new channels, introduce new homes to existing channels and prepare the platform for the future availability of Freeview HD." Have you had trouble retuning to Freeview? If so, let us know.